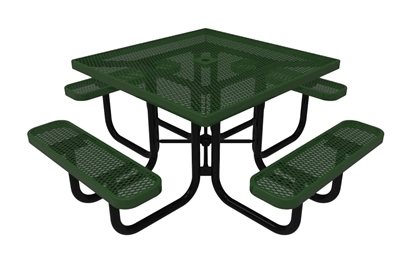 Quick Ship Commercial Picnic Tables from Park Tables includes Quick Ship Rectangular, Round, and Square Picnic Tables. 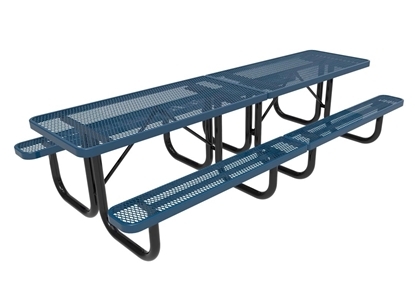 Our selection includes Quick Ship thermoplastic picnic tables, concrete picnic tables, recycled plastic picnic tables, and aluminum picnic tables that ship in 2-10 business days. 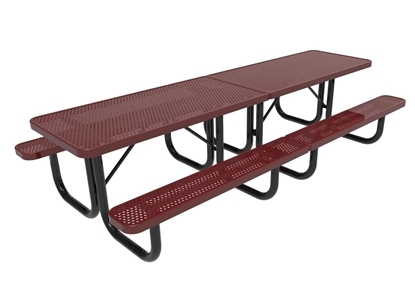 Quick Ship Picnic Tables are available in a variety of select colors, call our friendly staff to discuss current lead times on custom colors. 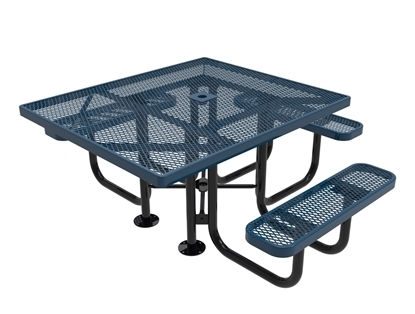 ELITE Series Rectangular 4 Foot Thermoplastic Steel Utility Table, Portable, 82 lbs. 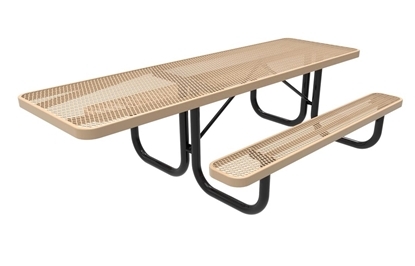 ELITE Series Rectangular 4 Foot Thermoplastic Steel Picnic Table, Portable, Seats 4 adults, 143 lbs. 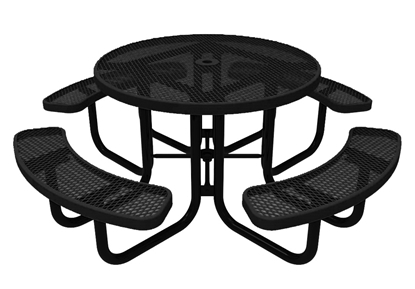 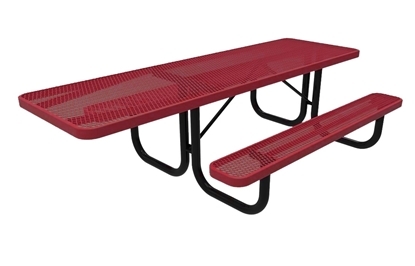 ELITE Series Pedestal 6 Foot Independent Rectangular Thermoplastic Steel Picnic Table - Quick Ship - Surface and Inground Mount, Seats 6 Adults, 276 Lbs. 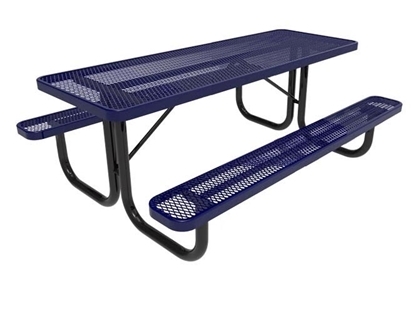 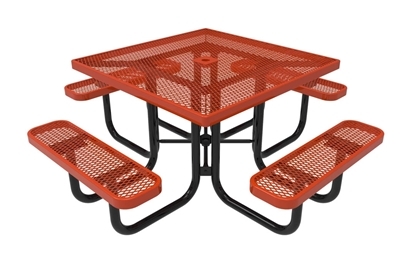 Our Quick Ship picnic tables are stocked in a variety of colors. The Quick Ship picnic tables are available in custom colors that can be made to order with longer lead times. 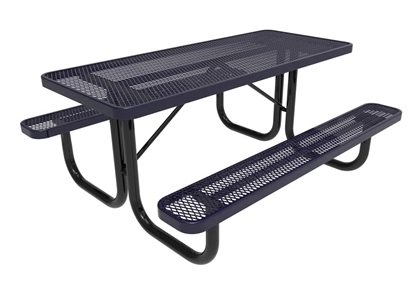 Call our professional staff to find out current lead times on other colors. 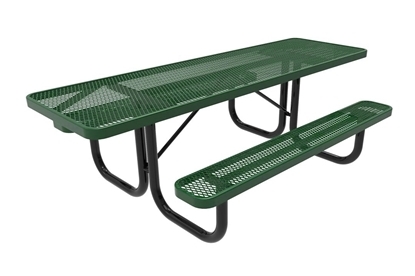 Product availability, color options, and lead times are subject to change.